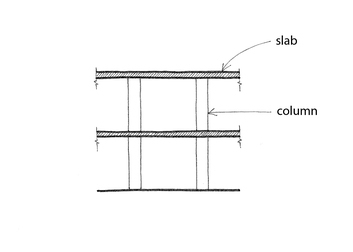 Slabs and columns are constructed without beams. 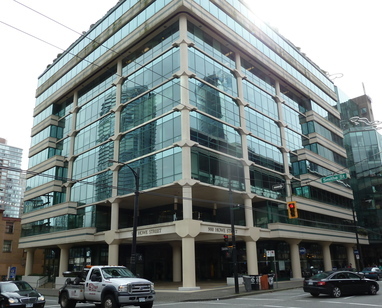 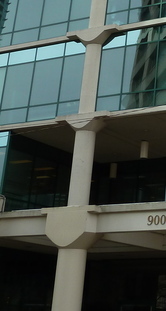 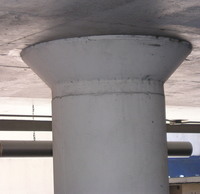 Unlike flat plates, flat slabs have capitals and/or drop panels at the tops of columns. 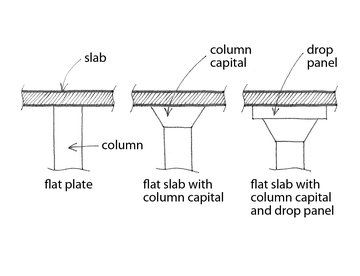 (A capital is the upper portion of the column, which is usually of conical shape and larger in cross-section than the remaining portion of the column; a drop panel is a thickened portion of the slab in the area adjacent to a column.) 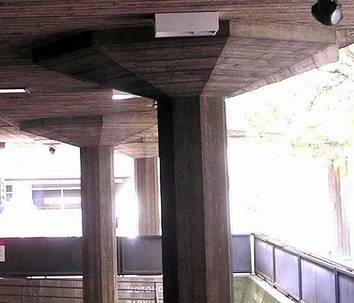 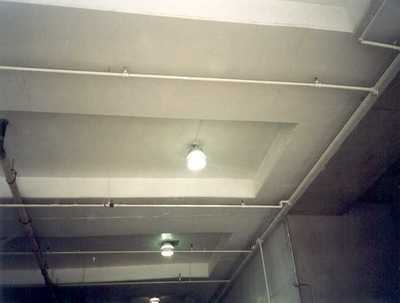 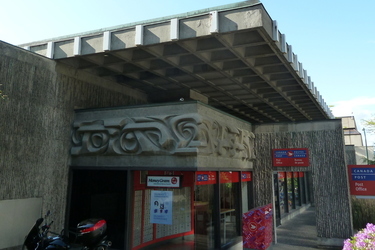 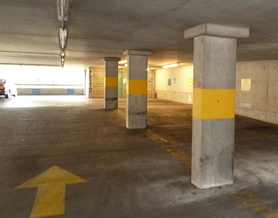 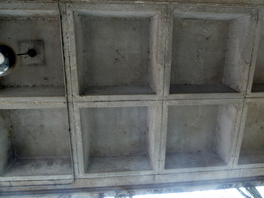 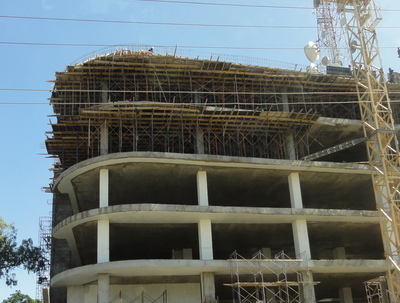 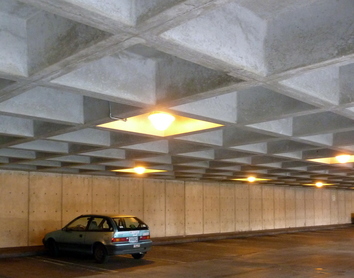 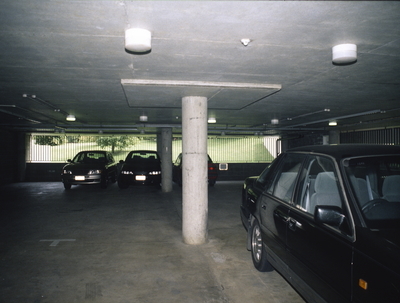 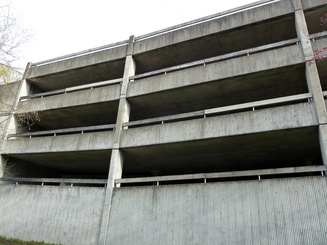 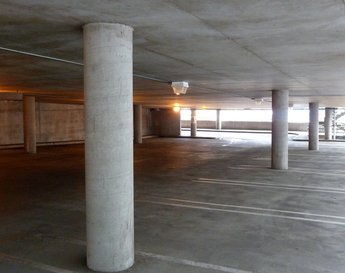 Slab band systems, consisting of continuous wide beams spanning between the columns, also fall in this category due to specific beam-column connections (click here for more information). 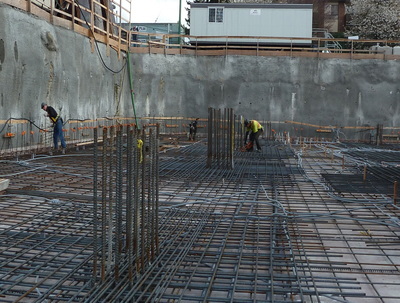 Primarily designed to resist gravity loads, these systems possess very limited ability to resist earthquake forces. 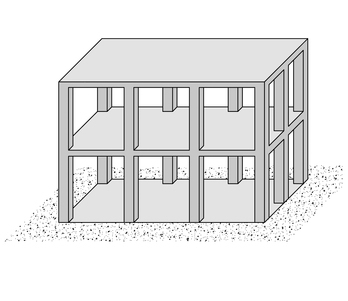 If there are numerous walls they should be considered the lateral load-resisting system.